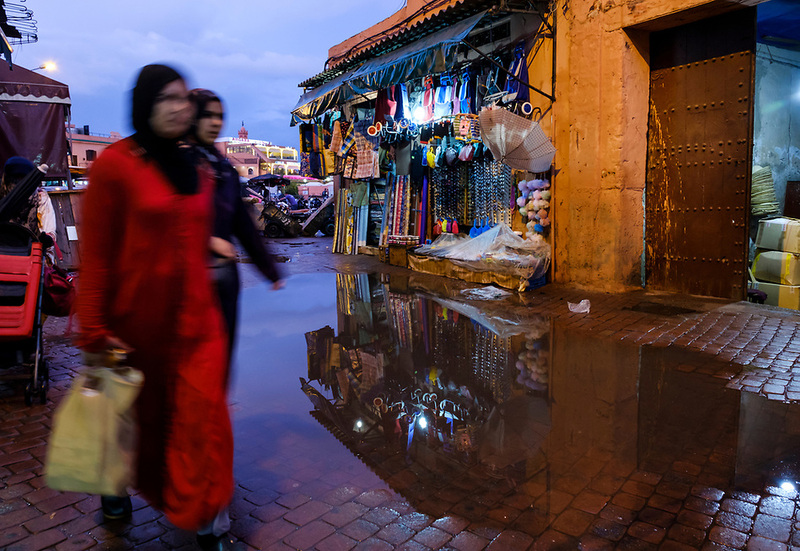 First, the honest truth, I’d never thought about visiting Morocco, and I’m not sure why. 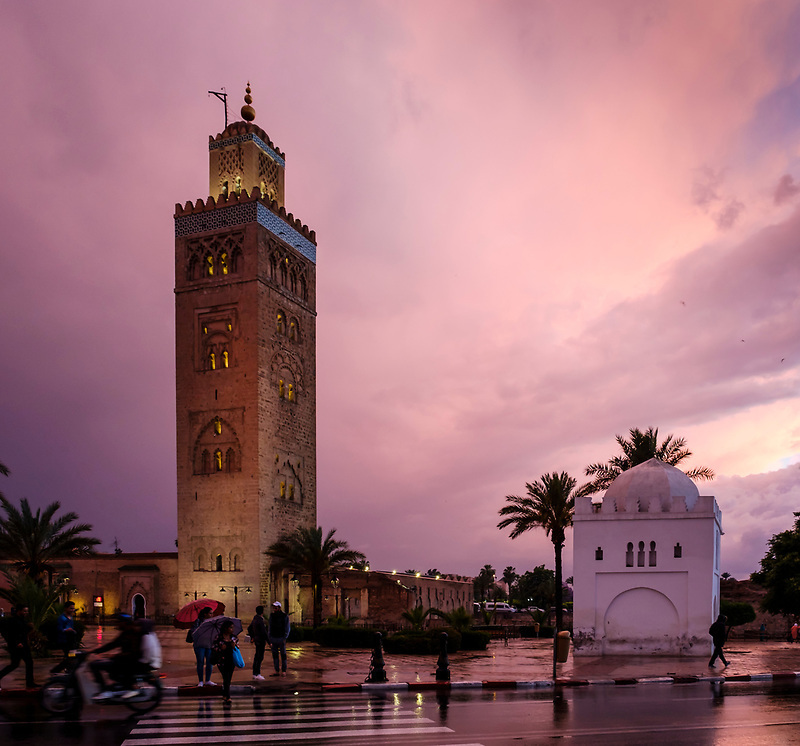 I mean, I covet a big list of “must do” or “I’d love to see” places, and Morocco was on none of those. 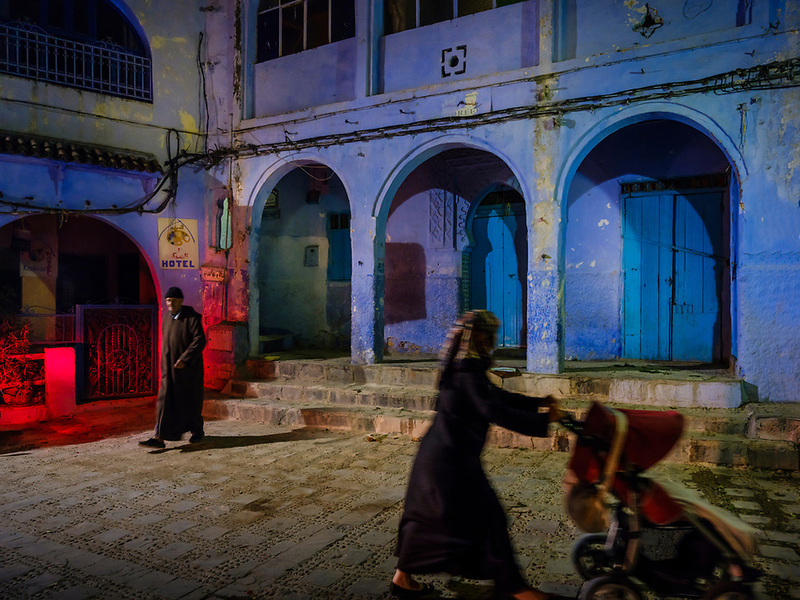 It wasn’t until I received a call from Darlene Hildebrandt of Digital Photo Mentor with an invitation to co-lead her 2017 Moroccan Photo Tour when the North African country came to mind. I didn’t hesitate for a minute and I’ll be forever thankful to her for the opportunity. Needless to say, I had a fantastic time. This was also my first time in Africa, my fifth continent; just two more to go (insert happy face here)! Also worth mentioning is that this was my first trip with the Fuji GFX 50s, and oh boy, what a fantastic camera – it’s like an X-T2 on steroids. Fuji truly excelled with it, the image quality is superb. But I’ll do another post on my experience with the camera soon. 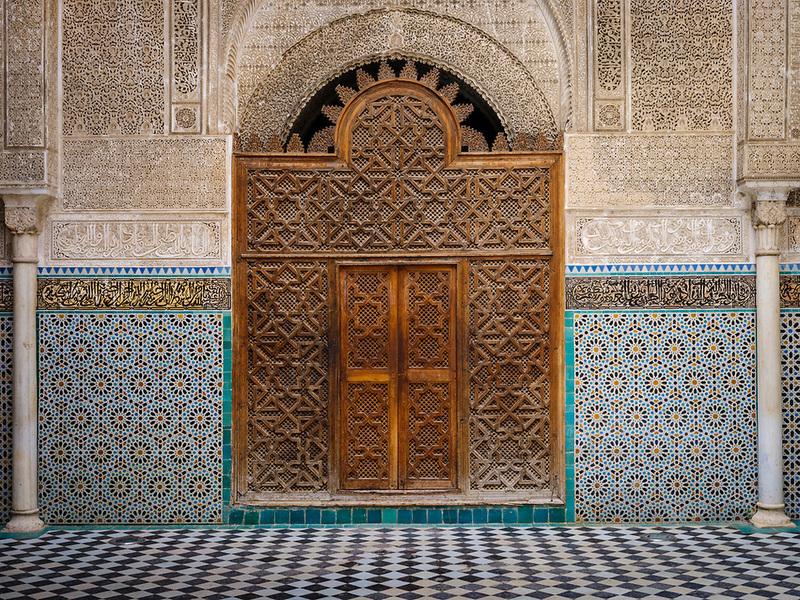 The Royal Kingdom of Morocco is fun, almost like a candy store for any travel photographer that enjoys culture, diversity, and architecture. Imagine ancient cities and medinas, a colorful countryside, mountain ranges and of course the sweeping desert. Its people are welcoming and their traditions are very well preserved, especially outside the bigger cities. 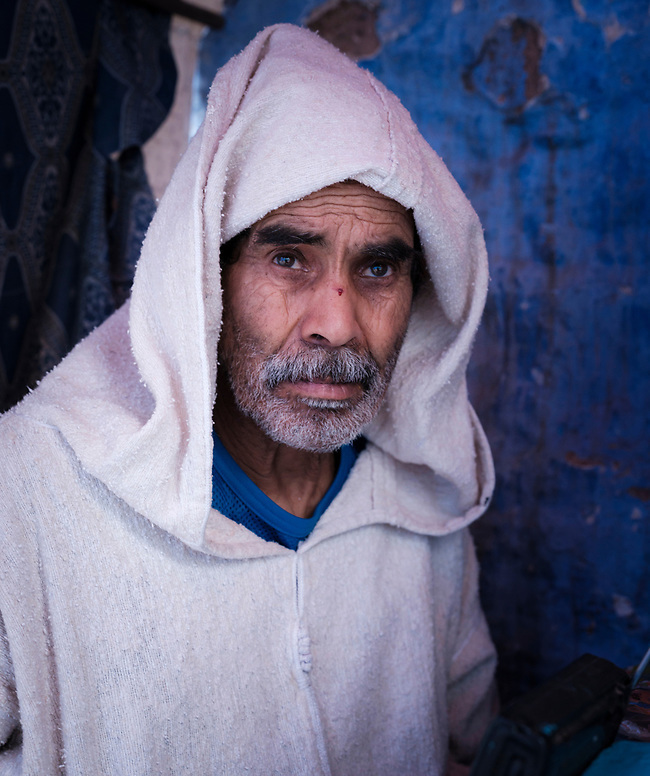 I heard stories about difficulties photographing people in Morocco, but I didn’t find it particularly difficult; it was just different. It’s not about not being photographed, it’s about their culture and beliefs. But regardless of that, I did not have any problems. Many declined, and many others accepted. I guess it also depends on the way you approach them and demonstrate true interest, not just grab a quick and meaningless trophy shot. We wandered peacefully, chasing light and stories in a truly unique environment. 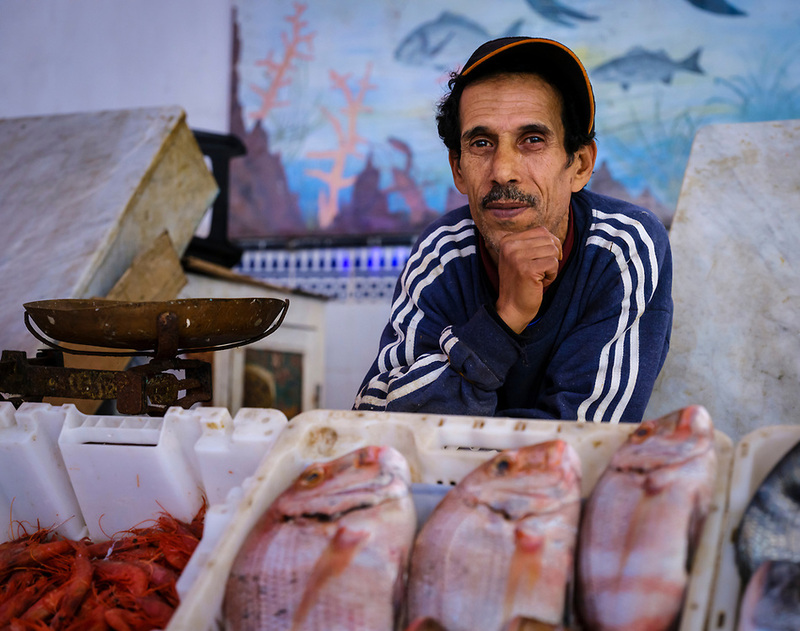 My experience in Morocco was fantastic. In fact, I’ll do it again (just keep reading), but first here are the some of the highlights from the main places we visited. 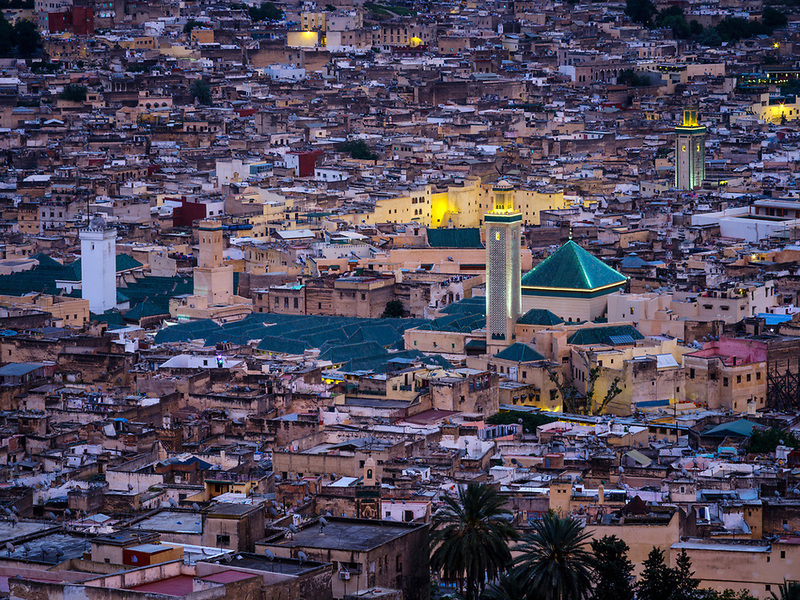 The most cosmopolitan city of Morocco; perhaps not as traditional or picturesque as the rest of the country but equally interesting. Despite being somewhat modern, the city still has some character and interesting places to photograph. 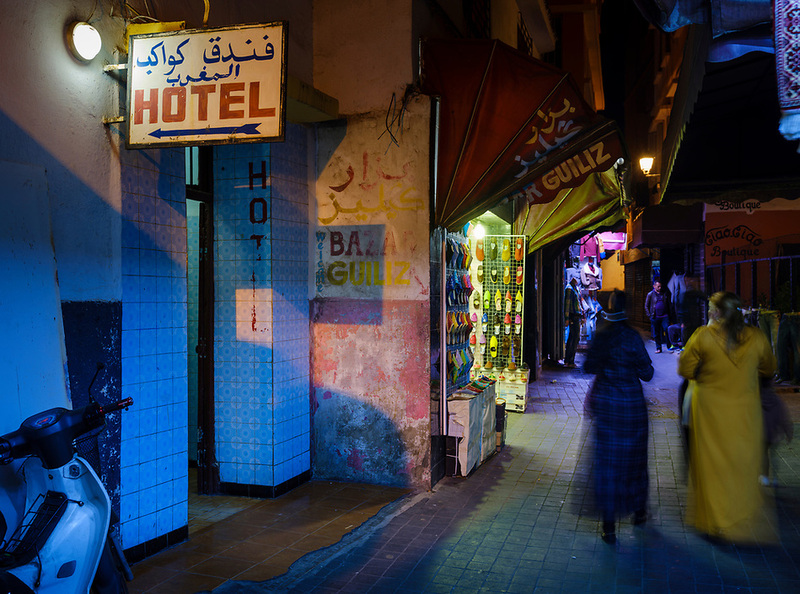 As a first-time visitor to the country and the city, I felt transported to another era while wandering the medina. 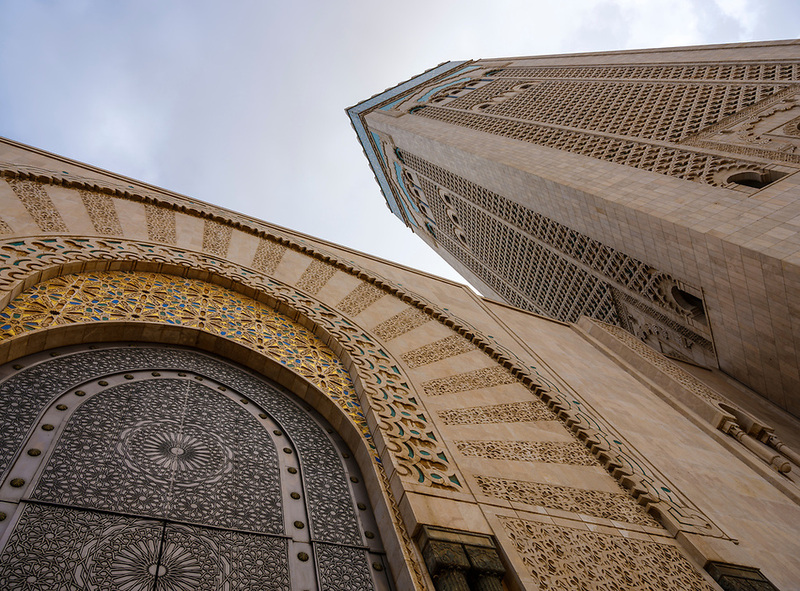 Another wonder worth seeing is the Hassan II Mosque. 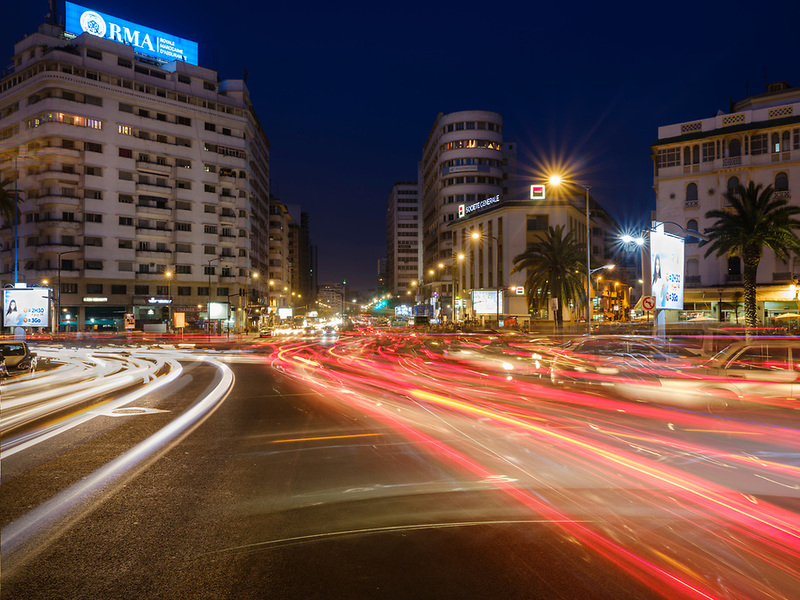 I spent a couple of days in Casablanca while I waited for the group to arrive and, during that time I was able to perform some night photography. 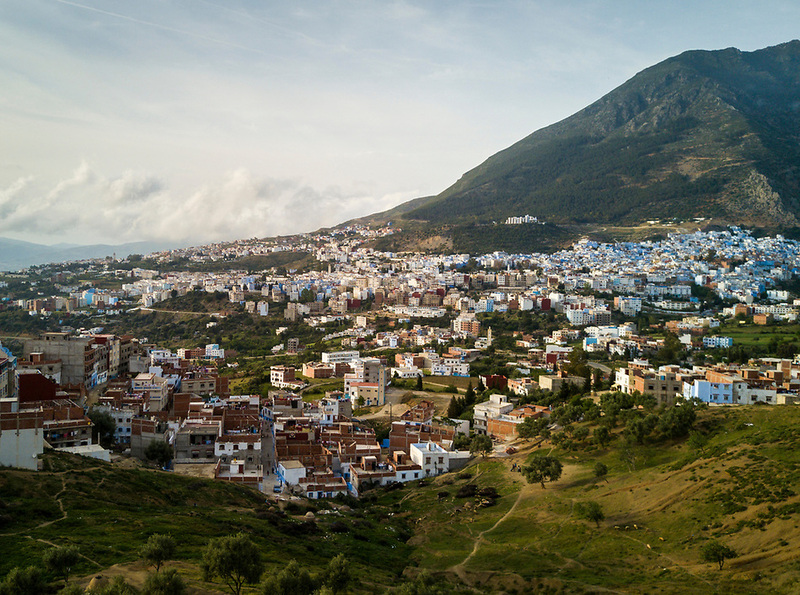 As we approached Chefchaouen I knew I was going to like it. The bus stopped over a viewpoint from where the town could be observed and there she was, a beautiful village perched beneath peaks that seemed to almost protect her. 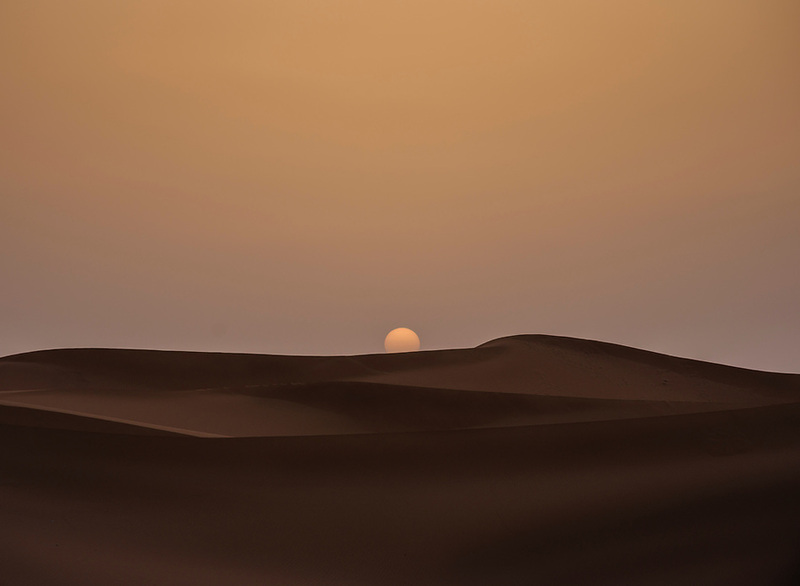 This is possibly one of the most beautiful places in Morocco. 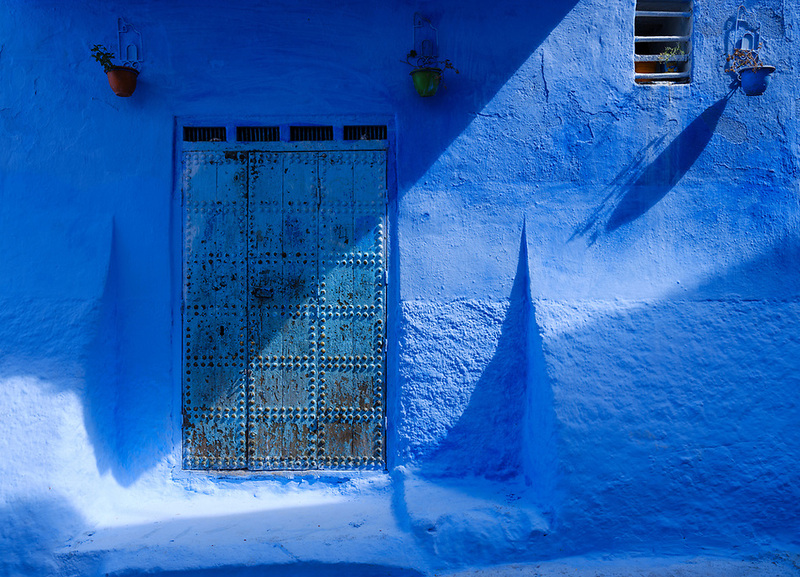 Inside the town, the narrow alleyways and passages painted in a washed blue gives you the feel of an artsy town. There is a sense of calmness walking down these streets and I can’t wait to go back. 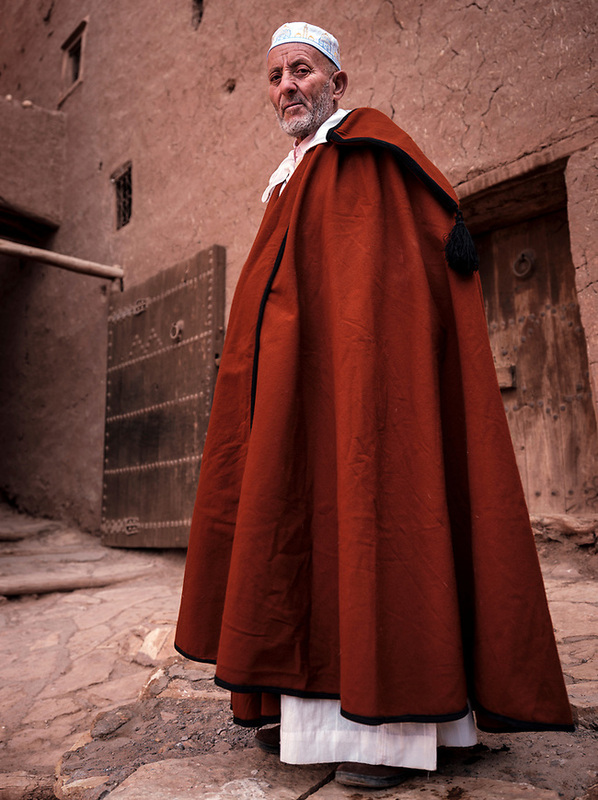 Raw, this is the place for the artisans, the ancient medina where people still live. Walking down its streets means avoiding donkeys and carts carrying goods up and down as it has been done since medieval times. Obviously there is no other choice; the alleyways are so narrow that this is the only way to move stuff. This an incredibly lively place, where anything can happen. Believe me, I’ve seen some crazy markets, but camel heads hanging from the seller’s stall? That was a first for me. I particularly enjoyed the dark maze, especially when all of a sudden you are led to a square full or artisans, cafes, and little local restaurants. And of course, the tannery, what a place! 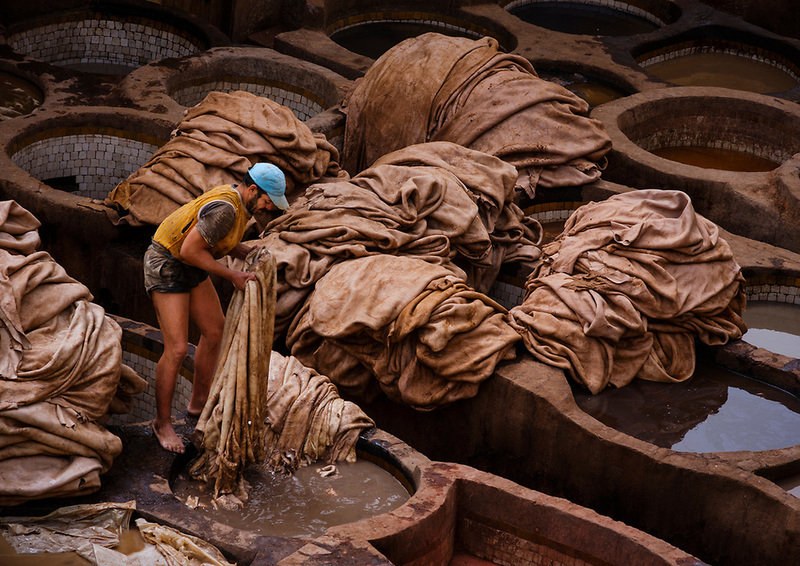 This leather tannery still uses ancient methods to dye the leather. It was quite a sight to see the workers using nothing but their bare hands and feet to soak the leather inside the color vessels. After Fez, we moved to Erfoud and from there jumped in 4x4s to head to the desert. 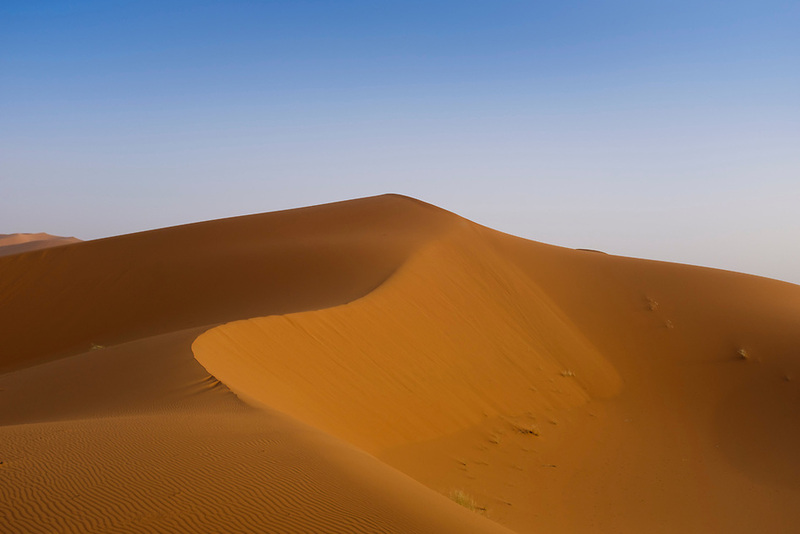 We stayed the first night in an auberge right outside the dunes and the following day we camel-trekked to the Berber tents for a sleep in the middle of the desert. 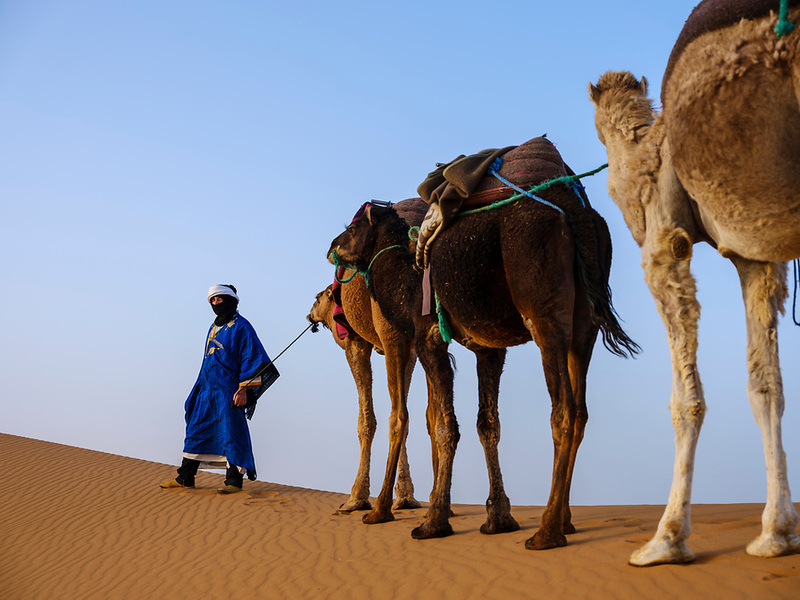 I had a blast photographing the camels, the Berbers, sunrise and sunset over the dunes, and of course the stars. 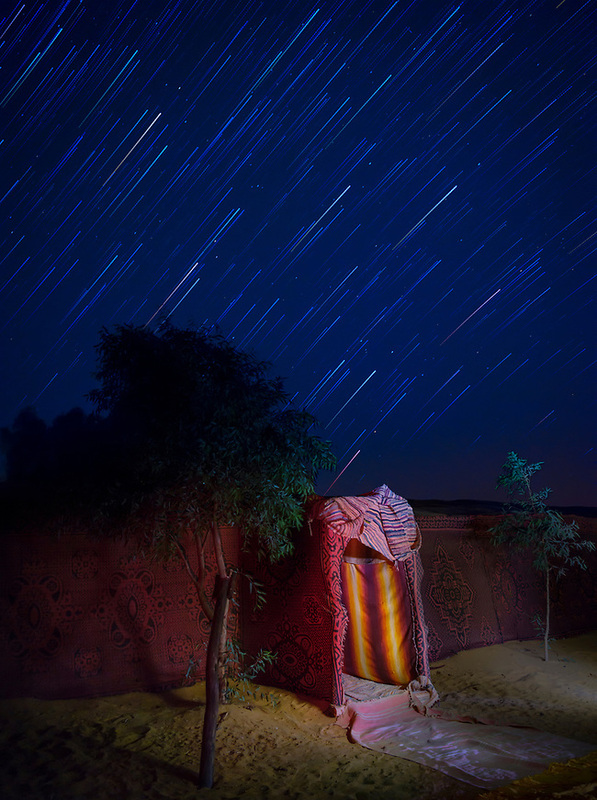 I still remember being in the middle of the camp, laying face up, on pillows covered by Berber carpets, just chit-chatting with newly made friends and looking the stars while my camera was capturing star trails. It was an amazing night, one that I will remember for a long time. 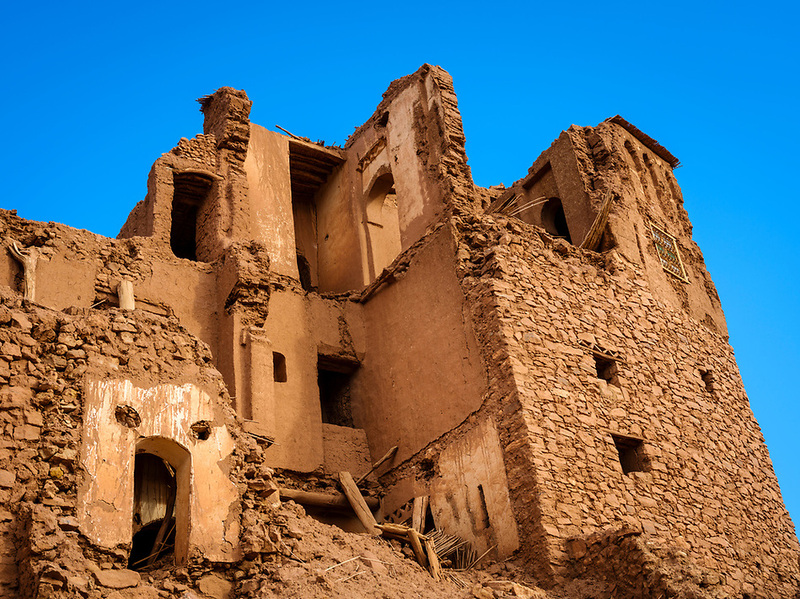 Ait Ben Haddou is an ancient mud-brick village perched on the edge of the Atlas Mountains, and UNESCO World Heritage Site that is featured in many films. Most people live on the other side of the river from where this fortified city sits, however a few families remain there. This is a special place. Inside the fortified walls, the photographic opportunities are almost endless. 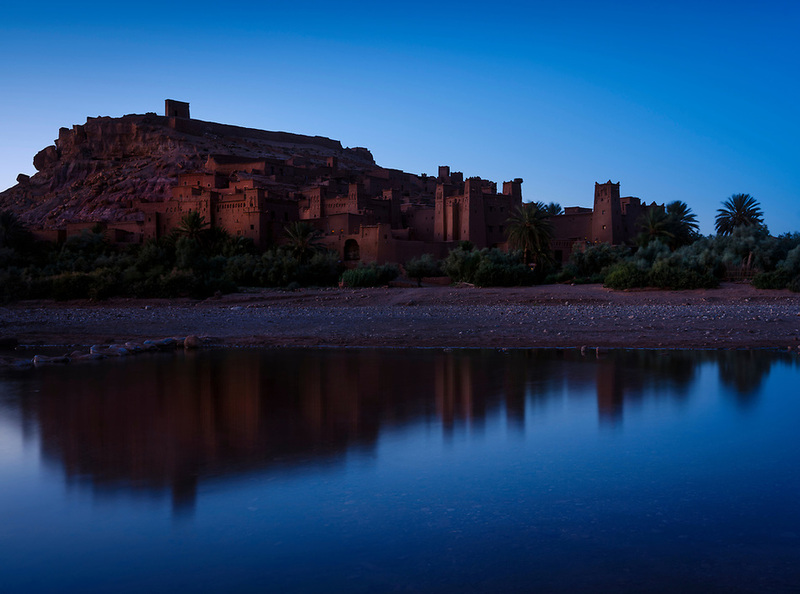 No wonder Ait Ben Haddou is a natural choice for so many Hollywood movies. 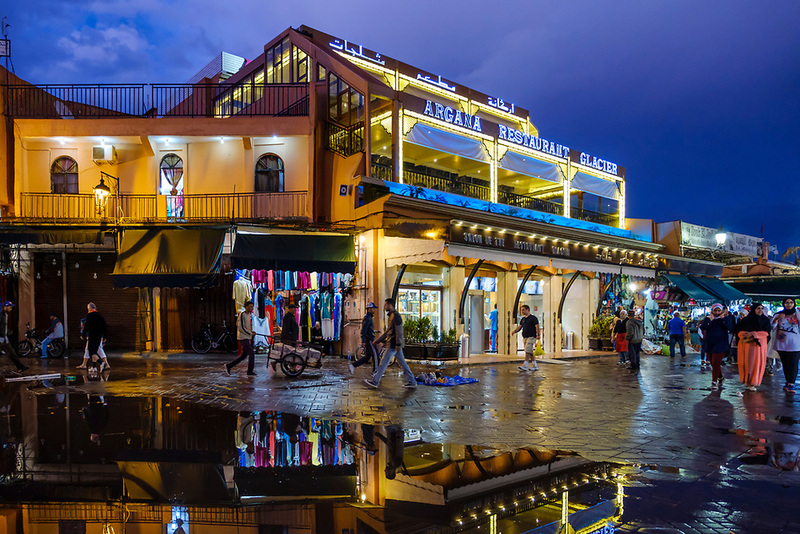 Marrakesh is fun, and possibly the most important of the former imperial cities. 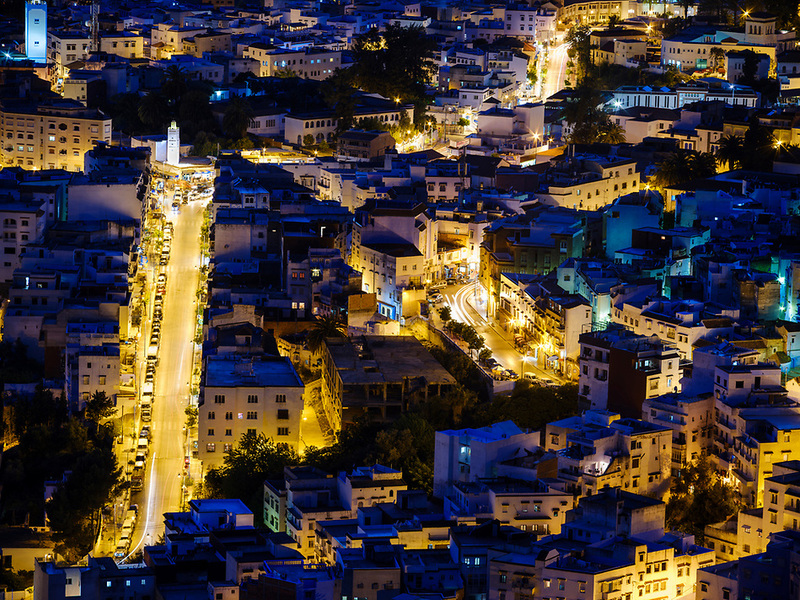 But beyond palaces and Medersas with beautiful Andalusian architectural influences, there is perhaps what it is better known for, the old medina and its square. 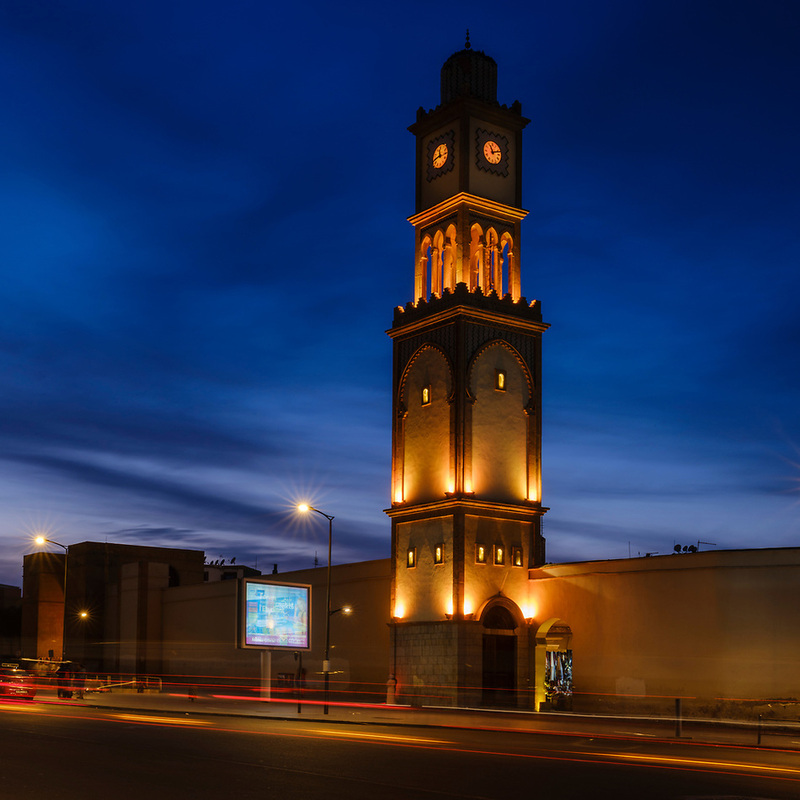 Jemaa el-Fnaa is not only one of the best-known squares of Africa but also world-famous; it’s a place where tradition meets the present. Tourists from all over the world come here just to see this place. 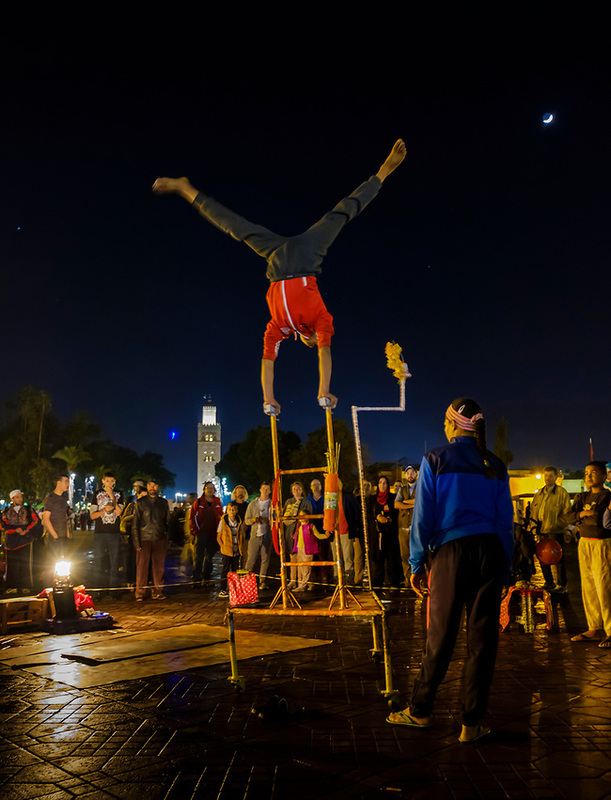 Snake charmers, acrobats, magicians, mystics, musicians, monkey trainers, story-tellers and a myriad of entertainers fill the square. In summary, Morocco is fantastic. I don’t know how I never thought of it before, but you don’t know what you don’t know, right? But now I do, and this is a place that every travel photographer should explore for sure. This post was just a short overview of the main sights and areas, I’ll post more detailed information and photos from each of the places in the coming weeks as I finish working on them. 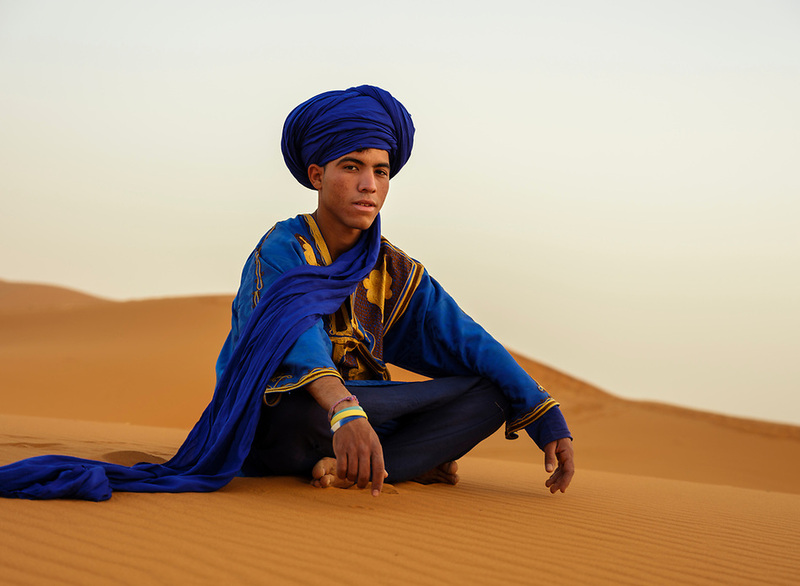 Lastly, the exciting news – next year’s photo tour of Morocco has been announced for May 2018 over at Digital Photo Mentor. I am stoked because I am going to be leading it! Join me next year in this magical country; we’ll have fun and come back with some truly memorable photos. For more information and to sign up head over to the tour page.